A strong cup of coffee is not just for staying awake. Coffee accelerates the heart, increases blood flow, and encourages breathing. 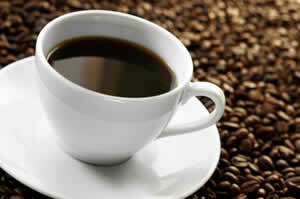 Coffee contains theobromine and theophylline, which help to expand the airways and inhibit bronchospasms. It will settle a dizzy spell. Recipe Instructions: Decoction :Attention coffee lovers, there are better ways to brew coffee than drip style. Old style percolators or a french press will both make better, richer coffee. Make the most of your coffee by brewing it from freshly ground, good quality, fair trade, beans.